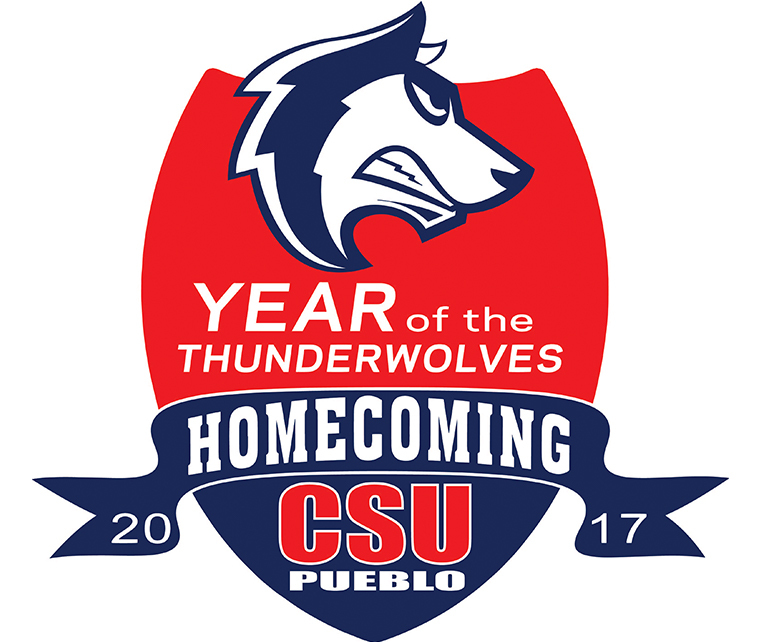 PUEBLO – Former and current students of Southern Colorado Junior College, Pueblo Junior College, Southern Colorado State College, the University of Southern Colorado, and Colorado State University – Pueblo, along with the parents of current students, are invited to Year of the ThunderWolves Homecoming activities, Oct. 4-8, a series of events planned by the CSU-Pueblo Alumni Association and the Office of Student Engagement and Leadership (SEAL). The events kick off for alumni on Wednesday with a Donuts and Coffee Break at 8 a.m. in the Library and Academic Resources Center Lobby and concludes with the Alumni/Family Brunch at 10 a.m. on Sunday in the General Classroom Building foyer. Activities are scheduled for various alumni groups including Baseball, Marching Band/Music, President’s Leadership Program, Volleyball, Mass Communications, Art, Forensic/Debate, Enactus. Engineering, and SEAL (see schedule that follows). The Alumni Association will sponsor the 2nd Annual family-friendly Howlin’ House Party from 5:30-8 p.m. on Friday (Oct. 6) on the west lawn of the Neta and Eddie DeRose ThunderBowl. This event will including food, drinks, games, and the Homecoming Pep Rally at 6:30 p.m. The Powderpuff football game will be held at 7 p.m. on Friday on the Student Recreation Field. Then, enjoy s’mores, hot cocoa, and apple cider at a bonfire sponsored by the Associated Students’ Government on Friday night at 7:30 p.m. by the ThunderBowl. On Saturday, six individuals and one team will be honored at the Athletic Hall of Fame induction ceremony, which begins at 10 a.m. in the General Classroom Building foyer. The 2017 class of inductees includes: Bob Busia, Football, 1961, 1963-64; Mike Duran, Cross Country, Track and Field, 1977-82; Steve Herzberg, Baseball, 1968-71; Lisa (Knafelc) Osleson Women’s Basketball, 1977-81; Guy Taylor, Men’s Basketball, 1985-88; Dave Miller, longtime public address announcer; the 1991 NAIA Wrestling Championship runner-up team. Tickets are $15 per person ($10 for those 12 and under) and may be purchased by contacting Trey Nickelson at trey.nickelson@csupueblo.edu or 719.549.2050. A tailgate party sponsored by the Friends of Football and the Alumni Association will take place on Saturday on the rooftop deck of the Leomiti Warrior Center from 4 – 6 p.m. Tickets are required. The ThunderWolf football team takes the field versus Adams State at 6 p.m. in the ThunderBowl. Homecoming royalty and Athletics Hall of Fame inductees will be recognized at half time of the game. Student tickets will be available in the bookstore the week of the game. The Student and Family Tailgate will be held next to ThunderZone Pizza and Tap House on Saturday from 4 - 6 p.m. Students and their family members can enjoy food, games, music, and more prior to the Homecoming Football Game. Homecoming Pep Rally – 6:30 p.m.